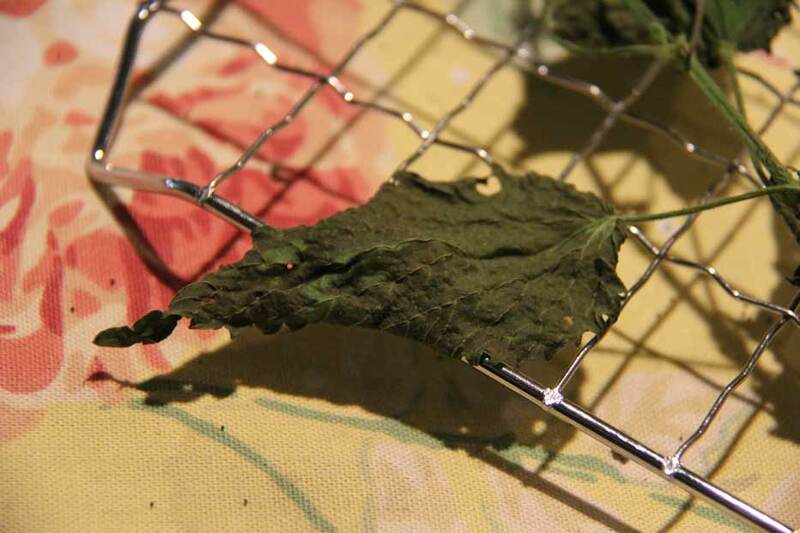 I am a big fan of fresh nettles tea. 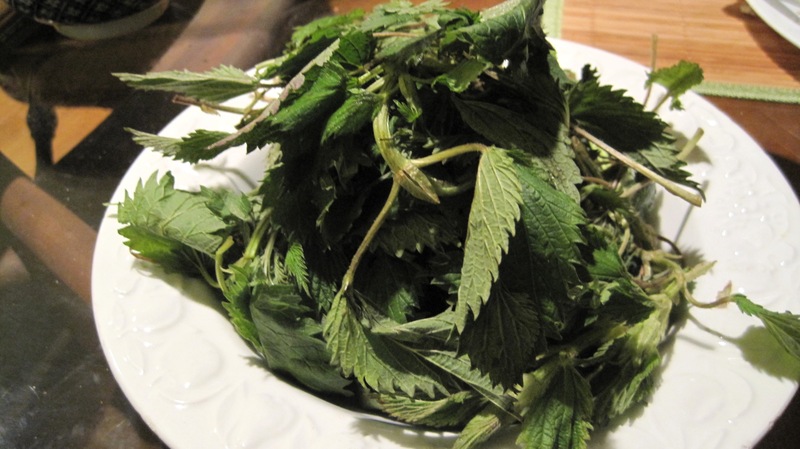 I first heard about nettles while I was attending a natural food weekend in Tennessee. They made a vinegar from adding raw nettles to apple cider vinegar. I had some and felt great. My mind was clearer. My digestion worked better, and my skin looked great too. 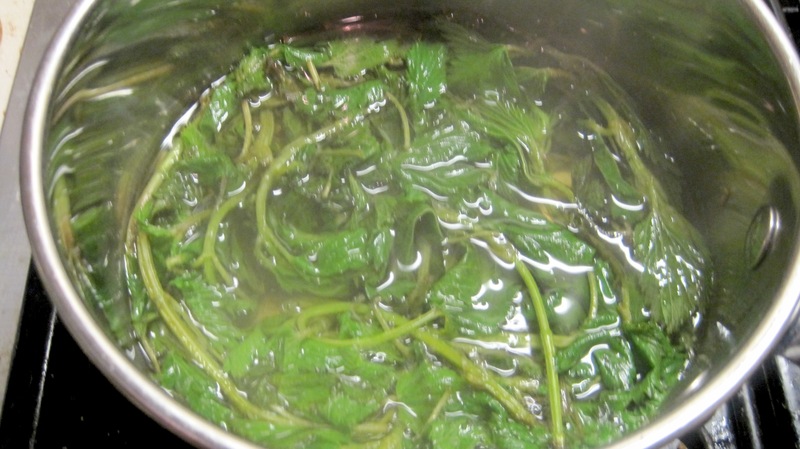 Nettles and other wild greens and herbs were more common place in the American diet. I mentioned like dandelions in a post last week. These seasonal plants provide nutritional and medicinal benefits. They are good for us, and they prepare us for the new season. Namely they can provide cleansing, and much needed nutrition. Taking advantage of natures local cleansing herbs and nutrition is another benefit of eating more locally and seasonally. Whatever was in nettles seemed to agree with me, so knew I try to get some and make a tea from the fresh leaves when ever it was available. 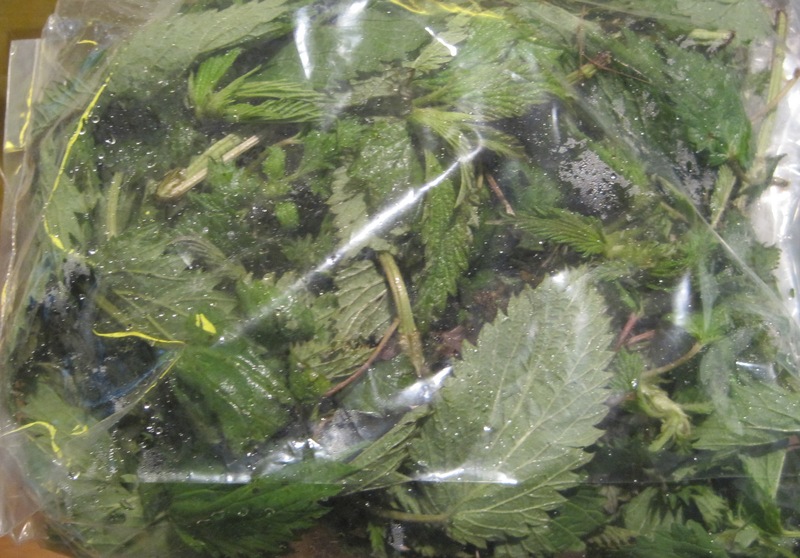 Nettles season is usually in the early to late spring. They are called Stinging nettles for good reason. The leaves have stinging burs on them that sting and lodge themselves into the skin like impossibly small splinters.I have found that washing with vegetable oil helps to remove the burs splinters. My bag of nettles came with a warning to use gloves when handling. I use tongs not gloves, but I am careful. It is because of nettles defenses that I do not grow them myself. I am afraid that they will spread in my garden, which will result in stinging weeds. Not a happy thought. I purchased mine the Ann Arbor Food co-op. They can be cooked and eaten. The sting disappears with cooking, but I use mine for tea. Nettles are also popular with chefs as a coloring agent for pasta. Nettles have one of the largest amount of chlorophyl than any plant, which provides its deep green color, which probably why they are so good for us. The leafs are juiced and mixed with pasta like a spinach pasta for color. Nettle contains a great number of amino acids, glucidic substances, amines, sterols, cetones as methyl heptenone, acetophenone, volatile oil, fatty substances, sitosterols, formic and acetic acid, panthotenic acid, folic acid, chlorophyl 0.3 – 0.8, protoporphyrine and coproporphynine. It also contains vitamins C, B2 and K, beta-carotene, Ca, Mg, Fe and Si salts, phosphates etc. Because of these compounds, the plant has anti-anemic, anti-diabetic, haemostatic and diuretic properties. Bring water to a boil, add leaves, stir in to cover and steep for 10 minutes. Drain, and drink immediately, or refrigerate. I drink some and refrigerate some. Personal note: I go easy on nettles tea and drink only a glass a day. I found that when I drank a lot of tea, I would get dehydrated, which seems weird because I was drinking so much liquid.